Hotel Management in India - With hospitality sector in India figuring amongst the best performing sectors, a career in hotel management opens up a plethora of opportunities for young generation today. According to industry experts, Indian hospitality sector, which is growing at Cumulative Annual Growth Rate (CAGR) of 14%, is just behind booming Information Technology (IT) sector. According to Planning Commission data, Hospitality sector is the second largest employer in the country after Information Technology sector, and is capable of offering employment opportunities to a varied range of unskilled workers to professional executives in the country. From this article, aspirants of this exciting field can know all about hotel management in India. No wonder, India’s major luxury hotels like Leela, Oberoi and Taj figure amongst world’s top hospitality groups. Besides this, investments by major foreign players like Starwood, Marriot in collaborations with domestic companies has further added to the career opportunity in hotel management domain in India. The growing volume and business of fast-food chains like Kentucky Fried Chicken, McDonald’s, Pizza Hut and Domino’s are increasingly contributing to the organized food business in the country and thus recruiting professional hotel management graduates to run their outlets. Thus, from luxury hotels to fast-food chains; and tourist hot spots to domestic and international airlines, career opportunities in this high-growth hospitality sector are enormous. As per industry estimates, the gap between demand and supply of manpower may get wider in coming future and quality of manpower would be utmost importance to sustain high growth in this sector. In the wake of the apparent shortage of trained manpower in the industry, some corporate groups have also entered into training and started their own Institutes of Hotel Management. Careers360 presents here a detailed overview of the Hotel Management courses, top colleges, related entrance exams and other important aspects that help you broaden your knowledge towards exploring a career opportunity in hotel management in India. First of all, we bring you the list of popular Hotel Management Institutes set up by central government, state government and private bodies. National Council of Hotel Management Joint Entrance Examination (NCHM JEE), a National level examination is the most coveted Hotel Management entrance exam. It is conducted by National Council of Hotel Management and Catering Technology, which is an autonomous body under Ministry of Tourism, Government of India. The national level entrance exam is conducted to offer admissions for three years B.Sc. in Hospitality and Hotel Administration degree programme at 52 institutes including National, State and Private Hotel Management colleges, comprising around 8000 seats, for which nearly 20000 candidates appear every year. NCHM JEE is conducted jointly with National Council of Hotel Management (NCHM) and Catering Technology and Indira Gandhi National Open University (IGNOU). What after Hotel Management Course? According to the industry estimates and official data, there is a growing demand of skilled professionals in the Hospitality and Tourism sector of India. After completing their undergraduate degree course in Hotel Management, can also pursue their further study and make a career in Academics. For a Hotel Management professional, the option of starting own venture or making a career as an entrepreneur is also a good option. 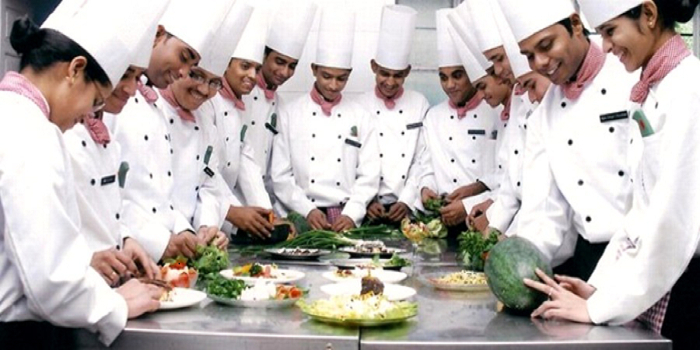 After completing Hotel Management course from a reputed institute, the fresh graduates get job opportunities in hotels, Quick Service Restaurant (QSR), healthcare sector, Airlines and Railway etc. Fresh hotel management graduates are generally recruited as management trainee. They might be engaged in Front Office operations, F&B production, Meeting & Events Operations Management, Restaurant Operations etc. The salary packages to the fresher depend on the type of organization and the skill sets of the candidates. In a three- star property, the starting take home salary per month may range between 12000- 20,000 onwards.